New Home Developments -- What Are The Pros? New Home Developments — What Are The Pros? You’ll be the first to stay in the home. Everything is new, not used by the previous homeowners. There is even a “new home smell”, akin to the new car smell. Unlike a pre-owned resale apartment, you wouldn’t need to undo the tacky renovations of the previous owner. The facilities inside the condominium or apartment are also brand new. You won’t have to worry that the gym equipment has accumulated years of sweat or grime. And you can be sure that the pool is much more hygienic. Older properties can look dated. They were built according to the tastes and lifestyles of a bygone era. Remember when squash courts were the rage? So no matter how completely you renovate the interior of your new home completely, you can’t do anything to the exterior of the development. New home developments will typically have hundreds of units for your selection, especially for properties in the initial launch phases. You get to pick the unit you prefer according to your preference or budget. Want a great view? Pick from a number of high floor units or units facing the sea or pool. Prefer easy access to the main transportation nodes? Choose a unit nearer the main gate or side gate if there is one. And if budget is a consideration, developers have reserved units to cater for that as well. In a resale home, you are stuck with what you get, needing to compromise on some aspects of the house. This is especially important if you buy a 99-year condo. You will be getting a lease that is over 90 years. And when you sell, it will be an easier sell. Buyers who buy a resale home will generally prefer a newer home over an older one. Newer buildings are built according to new green standards which simply didn’t exist in the past. Green living options are more energy-efficient, cutting down on your energy bills over the long term. When you buy a newly launched property, you don’t have to pay the full price of the property up front. After the initial downpayment, you only pay according to the stages of completion of the development. This can take 3 or more years so you can plan your budget accordingly. Of course, if you need to move in earlier, simply look for new home developments that are close to TOP. 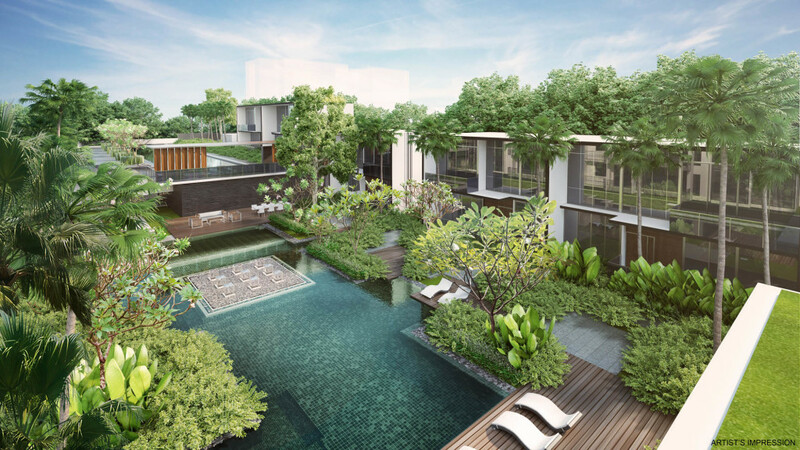 Prices of new home developments in Singapore have declined over the past few years because of the cooling measures. So if you buy a new property now, you would be enjoying a lower price. Who knows, but could the price of the property you buy today be higher in a couple of years when it reaches TOP? Then you’ll truly be buying low and selling high.